KWAIDAN is a cinematic and atmospheric piece for teenagers and adults inspired by Japanese ghost stories and horror movies. It features life-sized puppets, humanettes, shadows, acting and videos. 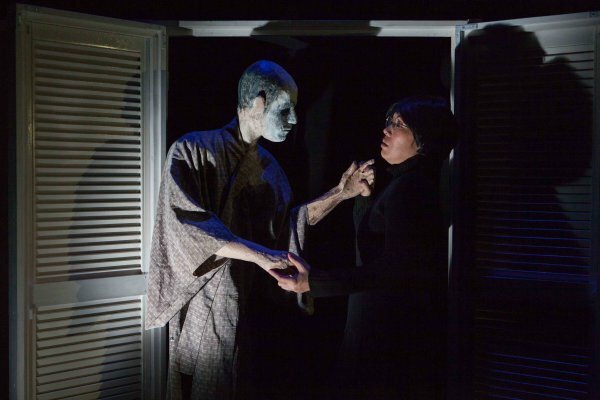 Kwaidan has received funding from Arts Council England, Japan Foundation, Great-Britain Sasakawa Foundation and Japan Society and has been supported by Horse and Bamboo Theatre, Norwich Puppet Theatre, Little Angel Theatre, The National Puppetry Archive, British Unima and Metal Culture.